With my arrival only a few days after Christmas, the Christmas market, a popular scene in Vienna were packed to capacity! 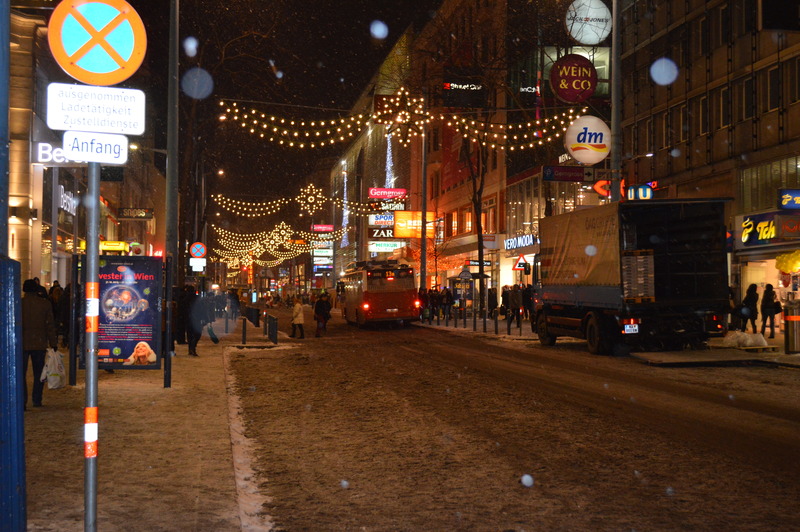 This town is famous for its Christmas market, and the season brings a plethora of tourist from all over the world. Upon departing the airport, Vienna received its first snowfall of the season and as a Chicagoan, I was neither elated nor sad about the change in climate. Although when thinking ahead to my NYE wardrobe, I was slightly disappointed that my new suede open-toed strappy heels would have to be debuted at a later date! Ha. The locals, however, could not contain their excitement! While walking around the neighborhood, I witnessed kids playing in the snow, couples taking picturesque strolls through the park, and neighbors talking amongst one another while cleaning off their cars. I remember dining at Pizzeria Mafioso ( which you should definitely try if you’re in the area!) 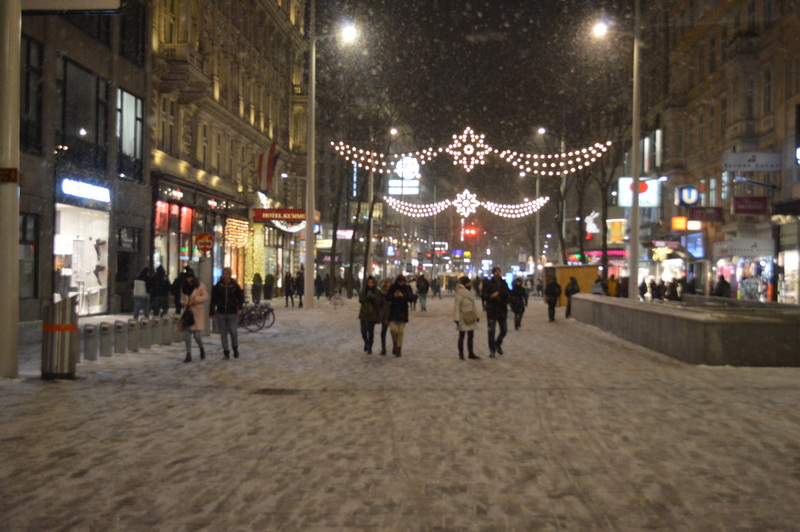 and the guest next to our table told us how lucky we are to enjoy the city with snow and all its festivities. If only Chicagoans were this enthused about snow! Vienna is a relatively small city, so on this stop of our 13 day tour, 4 days was more than enough. Especially considering that we arrived on a Sunday, and most places were closed for the day. Schönbrunn Palace is a must see! Plan to be in awe during the tour and transported back to an earlier age. Silly me, we didn’t plan to take the tour on the day that we did, so my camera was back at the hotel, and my phone died before the tour began. We can blame it on being jet-lagged! But take my word for it, spend a day at the Palace and feel like royalty! Here are a few pictures of the 3rd district shopping markets, where you can find anything from Louis Vuitton to Forever 21.